Check-in at the Malta International Airport at 05:40 hrs for your Air Malta flight to Amsterdam departing at 07:40 hrs. On arrival, transfer to the port where you shall board the Brilliance of the Seas by Royal Caribbean Cruises. The ship set sails at 17:00 hrs. Evening performances of West-end style shows and entertainment are offered daily after dinner. The first day shall be spent cruising to explore the numerous amenities and activities offered on board. You will be spoilt with all the choices on this ship varying from sunbathing by the pool, relaxing in the whirlpools, rock climbing, mini golf, shopping, aerobics, casino and much more. The ship’s animators will organize activities and entertain guests in the pool area and other lounges. Steelworks and shipyards used to define life in this Basque city. The Guggenheim Museum is the biggest attraction in Bilbao. The internationally acclaimed design of the building by Frank Gehry, combines shimmering titanium curves, glass and limestone to create a spectacular, futuristic sculptural effect. Beyond the building itself, the museum features work of art by Andy Warhol, Willem de Kooning, Kandinsky, Picasso, Miró, and many others. The collection spotlights 20th century and more recent European artworks. Explore the museums, bars, restaurants, shops and the oldest building in Bilbao, the Catedral de Santiago, in the old quarter. With two beautiful bays, waterfront promenade and lively ambiance, La Coruña is a popular vacation spot in Galicia. From here you can explore the region’s rugged coast, lush interior and medieval capital of Santiago de Compostela. Take a tour of the city of Betanzos, a relic of the Old Galician Kingdom. It was declared a historical and artistic monument in 1970. Walk through its narrow streets and visit the Gothic 14th century Church of San Francisco. While exploring La Coruña, don’t miss the main shopping areas of Calles Real, San Andres and Canzones. You’ll find everything from antiques to beautiful handmade leather goods. On such a ship, there should never be a dull moment! On Royal Caribbean’s Brilliance of the Seas, you are sure to enjoy every moment! Obviously, you should try the numerous delicious buffets on offer throughout the day as you sail south towards Portugal! Delight your senses in the old town of Porto de Leixões, one of Europe’s oldest cities known for its role in the Portuguese “Age of Discovery” and its roduction and export of fine Port wines. Its Romanesque walls and historical landmarks will take you back centuries on a journey filled with rich history, breath-taking views, and mouth-watering delicacies. Visitors can’t help but be lured in by the beautiful Ribeira and cityscapes that make this city a gem among rocks. Marvel at the Romanesque Porto Cathedral, one of the oldest monuments in the city. Flanked by imposing square towers crowned with cupolas, the structure has gone under construction since it was first build but the gothic-like architecture has remained true to its time and is quite a site to see. The discoveries of early explorers made a small kingdom, Portugal a world power and its capital, Lisbon, a wealthy city, also known as Lisboa to the native Portuguese. Visit the Belém District famous for its landmark tower on the bank of the Tagus River, from where explorers embarked on their voyages of discovery. Another highlight is the Jeronimos Church, a 16th century architectural masterpiece designed in Gothic Manueline style. Wander around the past statue of Pombal in Avenida de Liberdade to Rossio, the heart of Lisbon’s downtown. 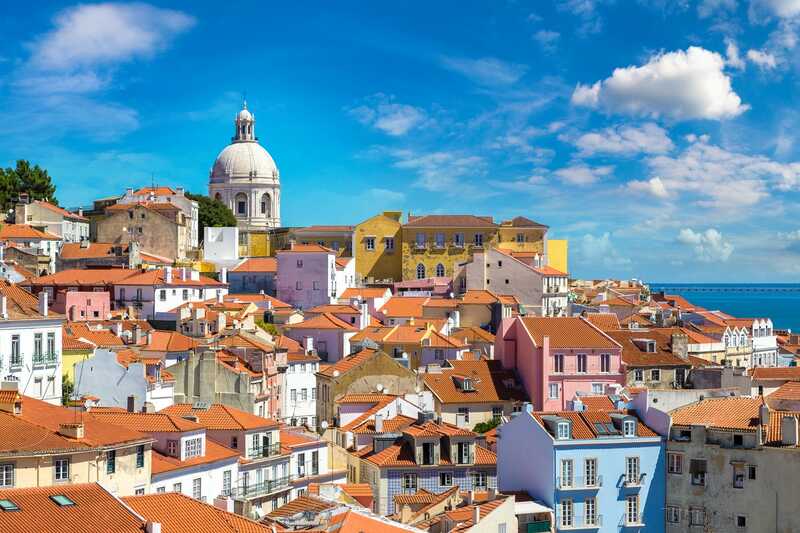 Explore Alfama, the oldest part of Lisbon, for a quick walk through its cobbled labyrinth of narrow twisting alleys honeycombed with steps and archways. Another glorious day on this luxurious ship. 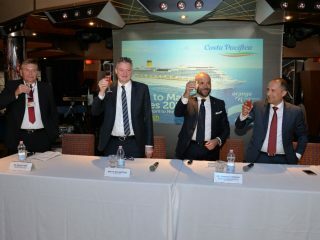 When your ships hit the high seas, the excitement of Casino Royale kicks off. Try your hand at the card tables, spin to win at roulette, and hit it big time with the pull of a slot machine. History here runs deep, back to ancient Carthage. Along Cartagena’s narrow streets you’ll also find a mix of old churches, Baroque palaces, 19th century mansions and modernist architecture plus lively restaurants, cafes and bars. Explore the remains of Cartagena’s 13th century Cathedral of Santa Maria and the remarkable Roman Theatre discovered in 1987. The theatre dates from the 1st century BC and was once considered the finest in Spain. Items such as sculptures, reliefs and altar stones that were found at this site can be seen in the Municipal Archaeological Museum. Behind the medieval walls of Ibiza Town there are museums, shops, galleries, cafes and more. The White Island also home to lively beaches, traditional villages and natural beauty found in quiet coves, coastal trails and piney woods. One look and it’s clear (very clear and very blue) that Ibiza’s beaches are some of the most beautiful in the Mediterranean. And to make beach-hopping even easier, the most popular ones are connected by frequent boat and bus services. In the evening, you will be instructed to leave your luggage outside your stateroom by midnight, since these will be transported by the ship’s crew early the next morning. Ship docks in Barcelona at 06:00 hrs Enjoy your last breakfast on board the Brilliance of the Seas as your cruise holiday comes to an end. A private coach shall take you to Barcelona Airport to check in for your return flight to Malta.